7 duty-free stores in Akihabara are going to hold a sales event from Mar. 29 to Apr. 1. 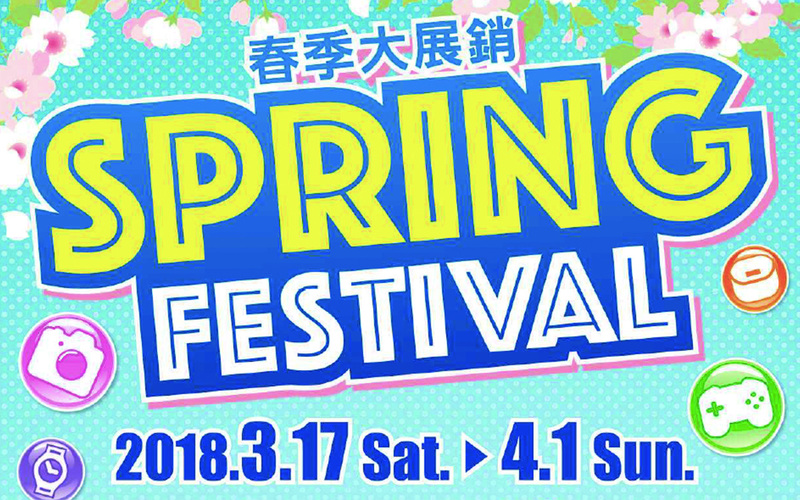 During the event period, one who purchase more than 5,000 yen in any participating duty-free store will have an opportunity to take part in a lucky draw for winning souvenirs made in Japan, Akihabara’s original goods and other gifts. The participating duty-free stores are as follows, AKKY GROUP (3 stores), ONODEN, Sofmap AKIBA, LAOX Akihabara Main Store and EISAN DUTY FREE AKIHABARA. Please take advantage of the good opportunity to enjoy your shopping in Akihabara’s duty-free stores! 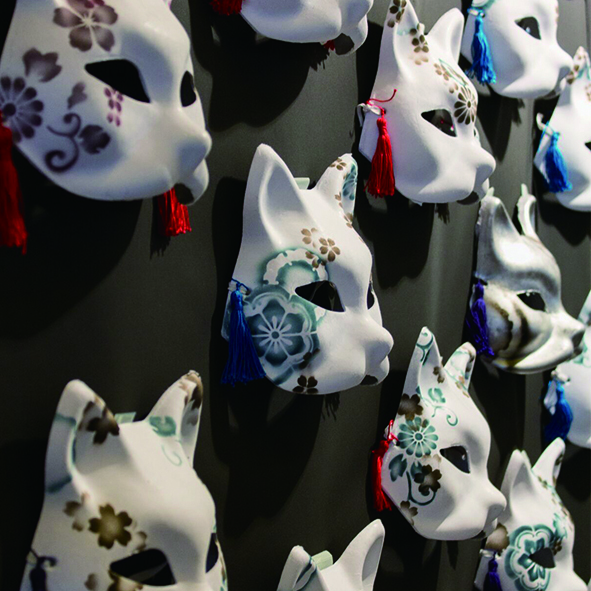 Fox masks are often used for Japan’s traditional festivals or performance such as Noh or Kagura. In Japan, foxes have been regarded as a messenger from Japanese deities since ancient times and one of the auspicious animals. Winners will get a beautiful fox mask whose every single part is decorated by hand. These are created by a group of creators called KIRIE, who work actively overseas as well as in Japan at the events such as Japan Expo in France. 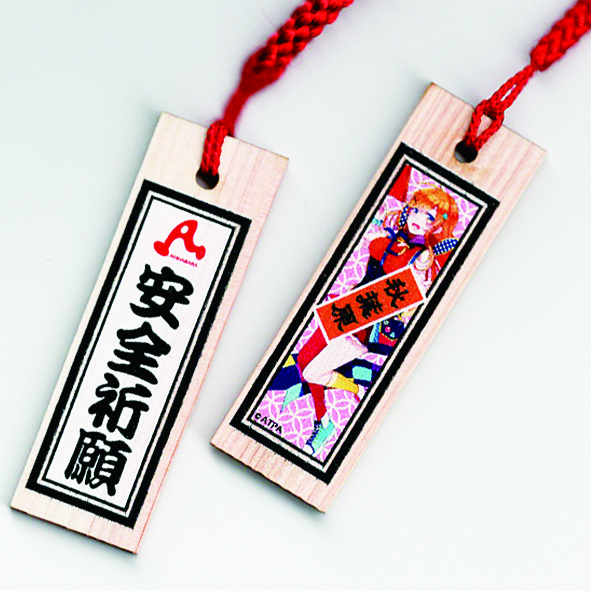 Wooden tags have been familiar as a lucky charm to avert misfortune or evil since the Edo Period. Prize winners will get an original wooden tag to pray for the safe travel. They have an image of Akihabara Omotenashi character Akitsu Mitsuba on one side.